Darlington FC have today signed striker James Caton. James, who is 23, was released by Dover Athletic at the end of the season, and has been training with Quakers during pre season. He appeared and scored in Quakers’ 5-1 friendly victory at Newton Aycliffe on Wednesday night, after which he signed a two year contract. He was part of the Bolton Wanderers youth set up from the age of nine, and played for England Under 16 schoolboys before he signed as a pro for two years in 2010. When he left Bolton, he joined Blackpool in 2012 when they were in the Championship, and was at Bloomfield Road for two seasons before going to League Two club Shrewsbury Town. He was part of their promotion winning squad, and from there, he had loan spells at Mansfield and National League Southport, whom he joined permanently in August last year. He left Southport in January 2017, and joined Dover Athletic. 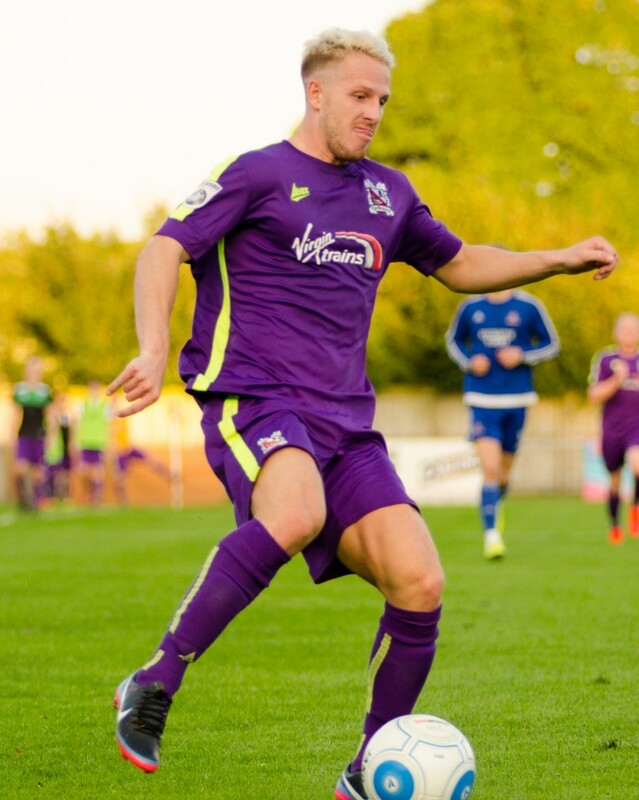 Darlington manager Martin Gray said; “James has looked good in pre season training with us, and we believe that he will provide excellent competition for places. We have beaten several clubs from higher up the system for his signature, and I think he will offer something different to what we've got up front." Watch out on the official website for an interview later with James! Don't forget about our friendly with Newcastle on Monday and the 30 per cent x 3 discount vouchers at the turnstiles!